Renting a villa in Italy allows us to live like Italians -- if only for a week or two. Inspired by tales of expats on Italy's Grand Tour during the the 18th and 19th centuries to the modern dream-come-true of Frances Mayes renovating and living in a Tuscan villa, many travelers yearn for the experience of renting a villa in Italy. 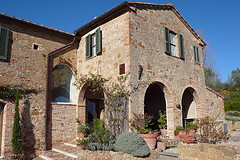 Renting a villa in Italy allows us to live like Italians -- if only for a week or two. Plus, for those who plan it right, or who are traveling with family or a group, the cost of renting a villa or apartment in Italy can be much less than renting hotel rooms. Be sure there is someone nearby 24/7: I learned the importance of this first-hand when I rented a villa in Tuscany and none of the toilets worked. Fortunately, the owners had a local handyman nearby to respond and fix the situation. If the agency or owner can't guarantee a speedy, local response, pass. Your vacation is too short to wait days for something to be fixed. Decide if you really, truly want to be in the countryside: I'm amazed at how many of my readers rent a villa and then realize that they can't walk into town or it takes a half-hour to drive to a local restaurant or vineyard. Think about the location of the villa and what you plan to do each day. If you're focused more on cooking meals with local fresh ingredients, lounging in the garden and swimming in the pool, being deeper in the countryside won't matter so much. Ask for references: Renting a villa in Italy can be a major investment. Ask the owners or rental agency if you can e-mail or call previous renters. Be sure to ask the renters what they liked least about the rental and or anything they wish they had known beforehand. For example, maybe the local supermarket is closed on Sunday and they weren't able to get groceries. Good to know ahead of time. 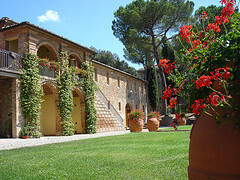 Do some online sleuthing: One villa can be represented by the owner directly as well as several villa rental agencies. Most companies "disguise" the villa by giving it a different name. So take some of the key descriptive terms as well as the town where it is located and Google. Also look at an image search. You might find the same villa offered at a cheaper price. If you're renting through an agency, ask if they agency owners or the person you are talking to has personally visited the property: At the best Italian villa rental agencies, at least one key staff member has visited each villa or apartment rental in person. You really want to talk to someone who has been there. That way you know if there's a noisy café next door or a garbage dump down the road. Sometimes photos on a rental website don't tell the whole story! For more tips on renting a villa in Italy and a list of recommended villa rentals and agencies, download Dream of Italy's Free Guide to Renting a Villa in Italy.